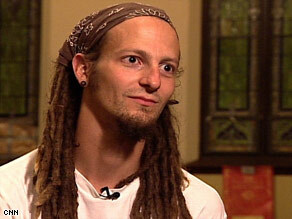 Went to hear Shane Claiborne the other night in Bromley Baptist Church. Shane was an excellent communicator and I found him both inspiring and challenging. It was refreshing to hear someone on a Christian platform saying it as it is, reminding us that as Christians we are called to be involved in making the world a better place (that’s, after all, what building the Kingdom of God is all about). I particularly related to Shane’s comment along the lines of; ‘My life was fine, I met Jesus and he really screwed my life up!’ To be perfectly honest I feel like that a lot of the time. Maybe I am jaded or becoming cynical in my old age; but I am really tired of hearing people say from the platform that Jesus will make everything better and that if you follow Jesus your life will be ok. These people forget there are Christians starving in the Horn of Africa, that there are Christians dying from war in Iraq, that there are Christians persecuted in Zimbabwe by other Christians! Following Jesus, for me has been weird but exciting. I’ve got involved with ome wacky events, some crazy people. Sometimes I have felt at risk of my life, other times I have laughed until I cried. I have done things, seen things and felt things I would never had done seen or felt otherwise. I have never known what is coming next and at this very point in time most of my life I don’t even know what I should be doing now let alone next! Following Jesus is an adventure! So – yes I agree with Shane, Jesus messed my life up in the choices I have felt led to make since becoming a Christian. Do I regret this – no! Would I change any of this – no! Do I feel sorry for myself because of this – no? Would I do anything else with my life – no! I love my life and my role and the family and friends that Jesus has brought around me. But … it’s still true to say …. if you choose to follow Jesus, he’ll really mess your life up! This entry was posted in faith, mission by robryan65. Bookmark the permalink.